Random thoughts about random things. A couple days ago, I started trying out Spotify Pro. In general, I like it a lot, but there are a couple annoyances I just can't get past. Once again... missing tracks. Why? Well, it turns out there is a reason--a really stupid one. 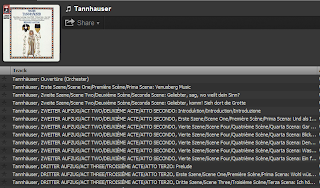 A Spotify employee posted that UMG labels (including, hello, Deutsche Grammophon) seem to have blocked tracks that are longer than 7 or 10 minutes long. (It seems to be 7 here, if you look at the tracks in the above examples.) I'll say it again. This is stupid. At risk of belaboring the point, I'll share one more example of exactly how stupid it is. 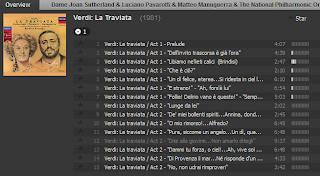 Let's check out a Decca (also UMG) recording of highlights from Verdi's La Traviata with Joan Sutherland and Richard Merrill. 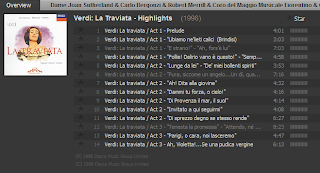 Note that we're missing out on one of the most famous Verdi arias,"E strano! / Ah, fors'è lui," which checks in at a slothful 7:03. Not to worry, though! Fortunately, Dame Joan moved it along when she recorded the same aria along with Luciano Pavorotti. She brought it in at 6:54, so we are able to hear it (though other tracks did not make the cut). This seems to be the labels' fault (or label's? 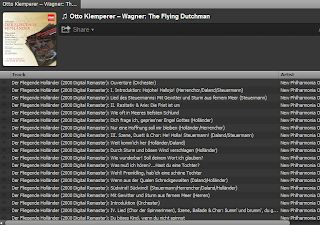 It's not clear that other folks besides UMG are doing this), but I've run into it often enough just looking for stuff I like that it's making me less happy with Spotify. 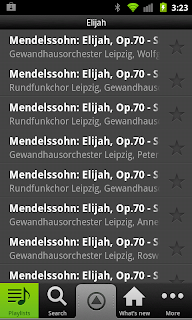 I suppose it's nice to know that you're in Part 1, but do we really need to know that we're in "Mendelssohn, Elijah, op. 70," in every single track?? I submit that we do not. 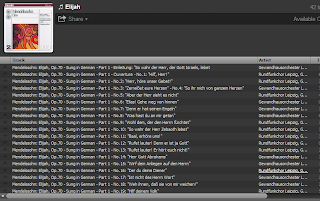 And of course, "Sung in German!" Priceless. 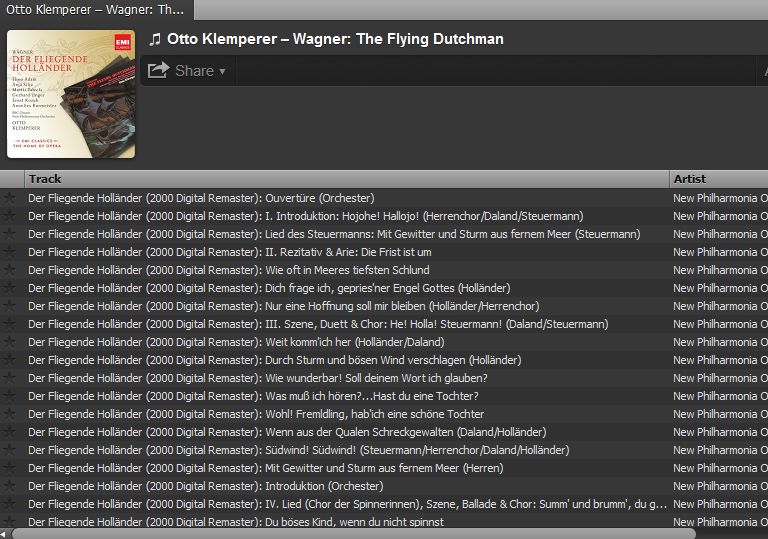 And the same kind of thing in this Flying Dutchman. Though now we learn that it's digitally remastered from 2000, with every track. It's so nice of them to let us know what act and scene we're in. (Except for the first act.. let's not worry too much about consistency.) No matter what language we use! At this point, I'm no doubt once again guilty of beating a dead horse. And this is a very arcane complaint, right? I'm being compulsive about my insistence on having tags exactly the way I want them. 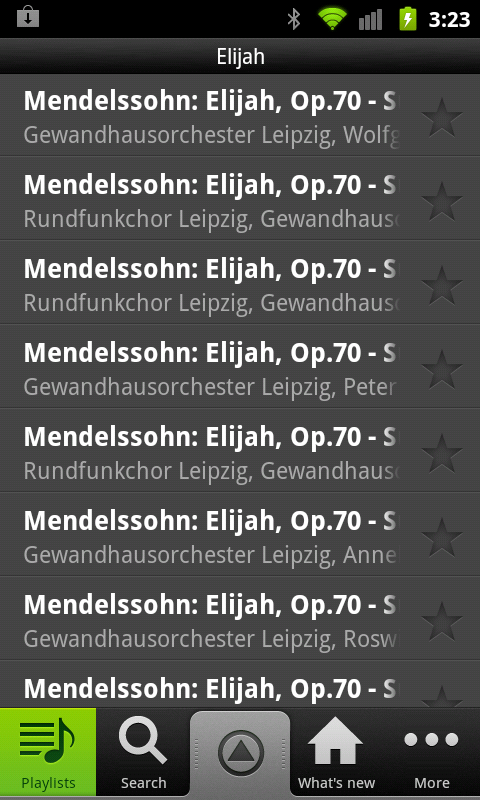 Does this really detract from my enjoyment of the music? That's a fair point. I should just relax. 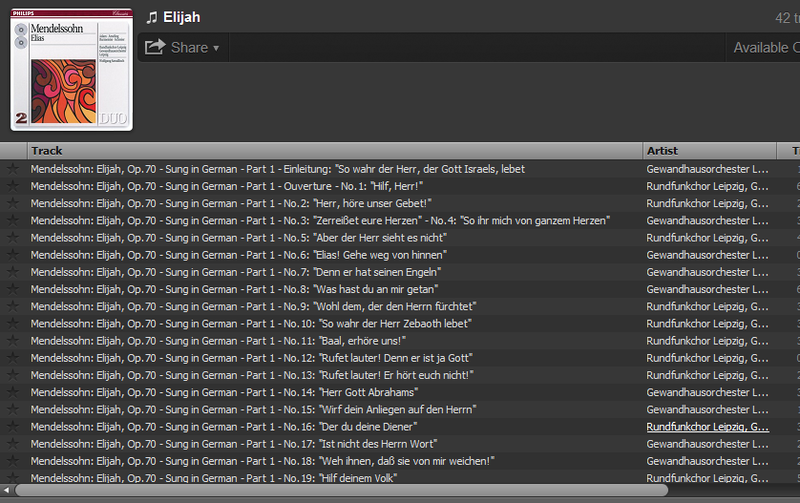 In fact, I think I'll get my phone and listen to the Elijah I posted above. Ah. Yes, well, good luck picking out any individual track. Or seeing which track is playing. All things considered? I'm probably going to cancel when my month of "premium" subscription is over. It's picky, I know, but overall, I'm just not happy enough to shell out. I live with my family in suburban Philadelphia. I work in higher education IT. Among my eclectic interests are knitting, classical music, and science fiction.